Have you heard of these places before? Would you like to visit them? Let us know in comments! When planning the trips to Poland, most tourists want to visit the best Polish cities like Krakow, Warsaw or Wroclaw. There is so much more to see there though! Poland is in the top 10 largest countries in Europe. It has lots to offer to everyone. Spending holidays in Poland can be one of the best experience in your life. It’s not easy to find off the beaten path travel destinations in the Internet though. We are both native Poles, so it’s somehow easier for us to explore our homeland. 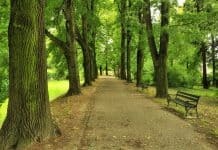 After a careful research and with a help of our blogging friends, we have written this post about best hidden gems of Poland. Places that you won’t find in the guides, that are unexplored, not touristy and simply beautiful. 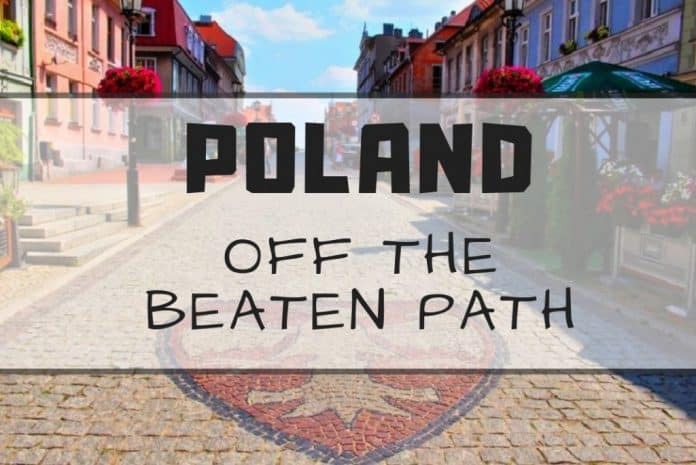 If you wonder what to see in Northern Poland except for the Baltic Sea, here are some interesting places to visit in Poland if you are traveling off the beaten path. 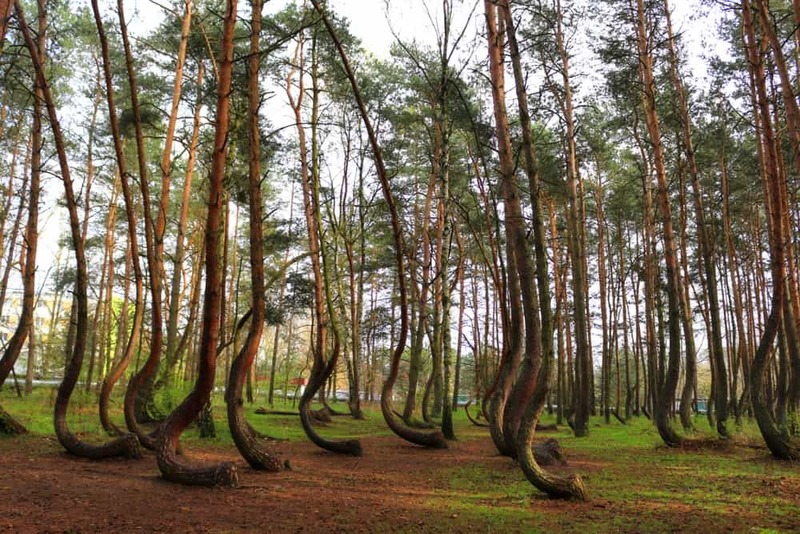 Located in the Polish countryside, less than an hour driving from Szczecin, Krzywy Las (The Crooked Tree Forest) is probably the most mysterious place in Poland. No one knows why the trees growing in the forest in Nowe Czarnowo are so weird. They all have a C-shape. Some say it must be a work of human, some that it’s a paranormal phenomena. Don’t know how to get to The Crooked Tree Forest? 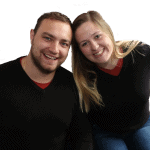 Contact us, we will be happy to help you organizing the trip. A few years ago, we embarked on a two-week road trip through Poland, Lithuania, Latvia, and Estonia. The first leg of our journey was from Gdansk, to one of the small towns in Poland called Giżycko. 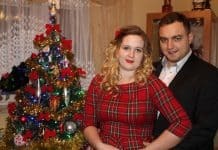 We had never before heard of Giżycko – we found it by chance as we were searching Google Maps for a good stopping point somewhere between Gdansk and Kaunas, Lithuania. We saw a small lake smack in the middle, zoomed in, and started researching the area. When we found a forest, a fortress, and a great looking hotel (with a bowling alley!) we were sold. Turns out Giżycko is a popular resort town, so it may not be incredibly off the beaten path travel for locals, but it definitely was for us. We spent one day and night exploring and really enjoyed the lake views, getting lost in the forest trying to find the Twierdza Boyen fortress, and bowling (of course). It’s in a beautiful part of the country and we really enjoyed our drive through the area. We stayed at the Hotel St. Bruno (did we mention the bowling alley? ), but Giżycko has a range of accommodation options for all types of travelers including apartments and camp grounds. We had tasty burgers for dinner at Wieprz & Pieprz. Giżycko is located in the Polish countryside, in northeast Poland. It’s just over a three hour drive from Gdansk, and a similar distance from Warsaw. It also has a train station, so is reachable by public transport. Mazury is one of the most beautiful places in the Polish countryside. Gniezno is the first capital of Poland. The city is located in the central-west part of the country. Its main tourist attraction is Drzwi Gnieznienskie (Gniezno Doors), one of the most significant works of Romanesque art in Poland. The gate is a part of Cathedral of Gniezno. This is where the first kings of Poland were crowned. The cathedral is very pretty and it’s pretty similar to the Notre Dame Cathedral in Paris. You are going around it, admiring the surrounding nave chapels. There is a baroque tomb and silver box with the relics of St. Adalbert in the middle of the building. If you are visiting Gniezno, be sure to wander around its Old Town. It’s pretty charming! If you are visiting Gniezno, be sure to see Gniezno Doors. It appears that despite the Roman Empire’s might and its remains across most of Europe, it did not include present-day Poland. However, Poland does boast the remains of a civilisation that is at least as old, and they take the form of an Iron Age settlement near a lake in Biskupin. Given that Biskupin is part of the Piast Trail, it is an important part of the story of the Polish nation. To get to Biskupin, the closest major city I had to reach was Gniezno. From there, I took a bus to Gąsawa and walked two kilometres to the park. Alternatively, one may wait for a bus from that town, or take the narrow-gauge train from Żnin that stops right outside. Adult tickets cost 12 złoty each. Half of the site is a bunch of stumps scattered across the grass, depicting how the site was discovered in 1933. 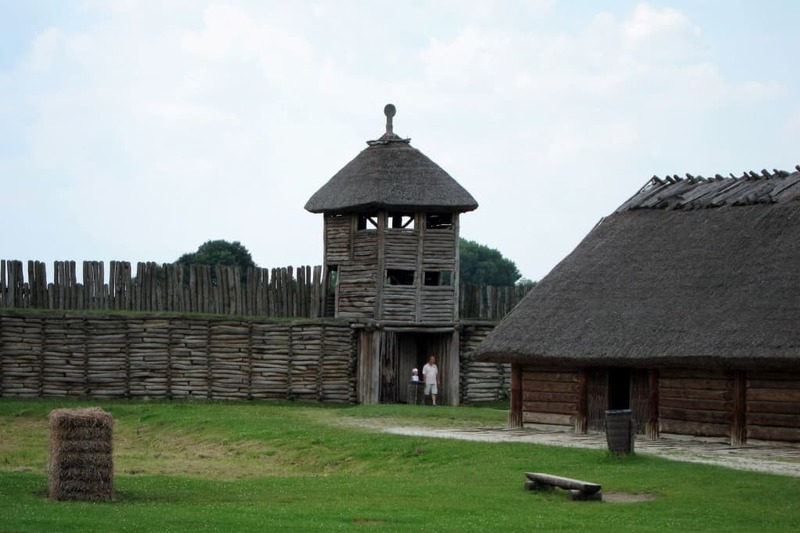 The other half, though, features reconstructed wooden fortifications, watchtowers and longhouses. The houses display panels about the story of the site, its excavation, and how Iron Age people possibly lived. A museum building also displays some of the artefacts that were discovered and the history of the people who settled in the area and Poland. In addition, there are outdoor stations where visitors can buy crafts and try their hand at making them, and one can also cruise the lake on a boat. Bialowieza Forest is probably the most unspoiled places in Poland. It’s totally different than the other parts of the country! Puszcza Bialowieska is a home to biggest land mammals in Europe- European Bisons. We’ve written a whole separate post about Bialowieza. You can read it here. Do you want to see the biggest mammals in Europe? 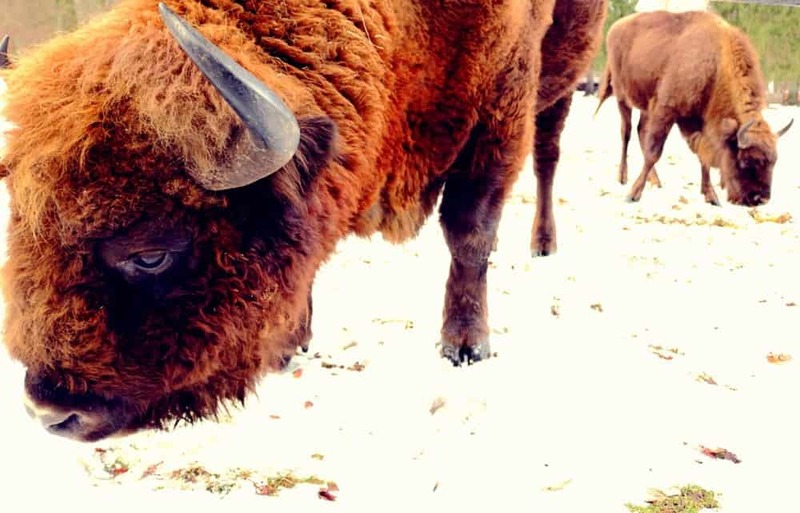 Head to Bialowieza to see bisons! Located in the middle of Poland, Lodz – one of the largest cities in Poland – used to be an important textile-manufacturing hub. However, after the Second World War, the city started a long period of decline. In the last ten years, Lodz has started to come back to life. In 2009, the city created the Urban Forms Gallery project with the mission to saturate the cityscape with creative modern art to improve the image of Lodz. And, boy, have they succeeded! If you walk around Lodz you’ll come across a splendid collection of large-scale murals by some of the most recognized international and local street artists, including Etam Cru (Poland), Bordalo II (Portugal), Eduardo Kobra (Brazil), Aryz (Spain), just to name a few among many others. Most of the murals in Lodz are located in the city centre, so you can see a lot of the most prominent works just by walking around in this area. However, be aware that distances are somehow bigger than they appear on a map. So do not hesitate to use public transport or perhaps even rent a bike. Another thing that is interesting about the Lodz street art scene is that it keeps growing and evolving. Every year a few more large-scale murals are added and so far the Urban Forms Gallery project has managed to curate an astounding collection featuring some really amazing artists. Lodz is a pioneering city that has succeeded in harnessing the appeal of street art to create a more interesting urban landscape. 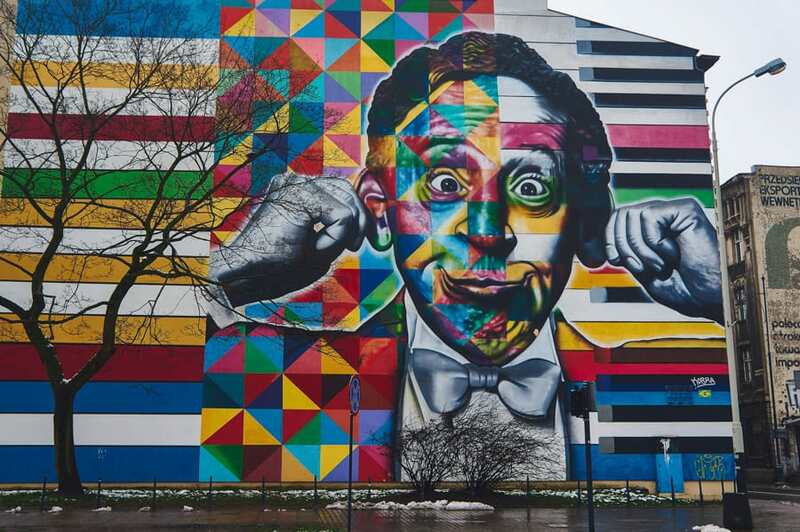 So if you feel like admiring some world-class street art, make your way to Lodz! Street art in Lodz is one of the most interesting attractions Poland. In the XIX Century, Łódź was a city with a mixed population – Only 55% were Polish, then there were 35% Jews and the rest mostly German and Russian. The Jewish community comprised nearly a quarter of a million, including some very wealthy families and factory owners. One of these – Izrael Poznanski donated a plot of over 10 hectares in 1892 for the city to create a new cemetery. In return, he wanted 400 sqm reserved in the centre for his own mausoleum. The mausoleum of Izrael Poznański is perhaps the largest Jewish tomb in the world. The cemetery continued to grow after its initial foundation, and beside the wealthy, many ordinary people lie there. These parts of the cemetery with so many old Jewish tombstones is my favourite. It feels like a magic, scary place. Every headstone had its own story, and it almost seems to speak to the soul. Today over a hundred of the graves have been declared historical monuments, and they are in various stages of restoration. 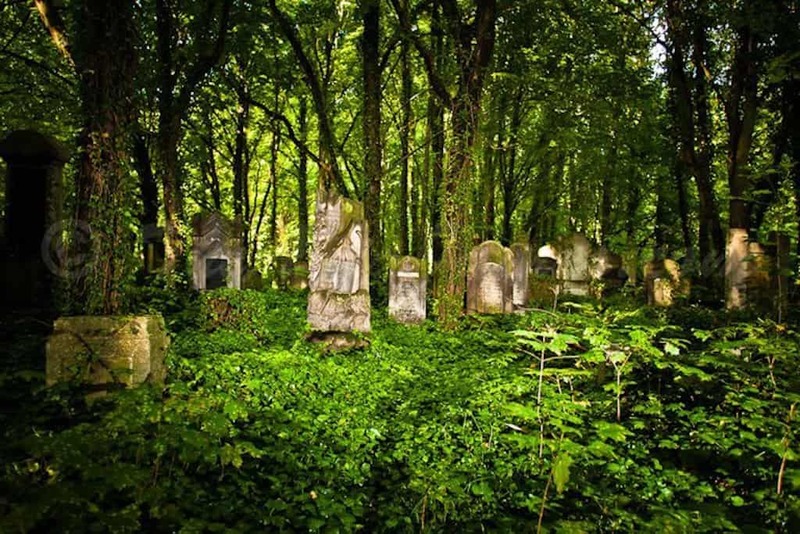 Currently, the cemetery is waiting to be approved as a Unesco World Heritage Site. The cemetery is in Baluty, an area of Lodz where many Jews lived. At 42 hectares it is one of the biggest Jewish cemeteries. Almost 230,000 people are buried there. The cemetery is open for visitors every day (besides Jewish holidays) from 9 am till 5 pm (3pm in winter until the end of March.) Entry fee is 6 PLN (approx $1.5). Every first Sunday of the month entrance is free. Located just 1 hour driving from Lodz, Uniejow is one of the small towns in Poland. It’s famous from the best spa in Poland, which is a perfect destination to relax and unwind. It’s one of the best place with outdoor thermal pools open year round in the country. Here you can read our full post about Uniejow. In our (subjective!) opinion the best places in Poland are located in the south of the country. Maybe it’s because we’ve met in Krakow or maybe because we are still living here. If you still wonder where to visit in Poland, check out the hidden gems located close to the border with Czechia, Ukraine and Slovakia. Istebna is a charming mountain village located in the south of Poland, close to Slovakia’s and Czechia’s border. This place is a real treat for hikers, cyclists, mountain bikers and all other nature lovers looking for quiet getaway. 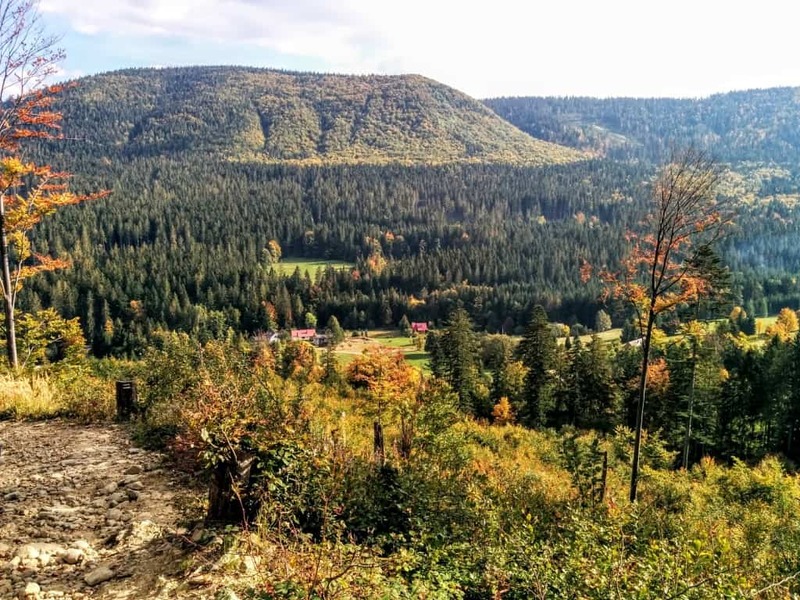 It is hidden in Beskidy mountains – beautiful mountain range in southern Poland. In the centre of Istebna there is a Dobry Pasterz Church which was built in XVIII century. The interior is colorful and built with an attention to detail. Right next to the church there is cultural community centre where we get to admire the biggest lace serviette. This handicraft has 5-metre diameter and consists of 8,000 pieces. Thanks to its monumental size it is noted in Guinness World Records! But the biggest and most valuable attraction in the area are mountain trails. There is a variety of routes, suitable both for hikers and mountain bikers. The mountains are not high, so the trails are not demanding. Beskidy mountains are perfect option not only for hiking addicts, but also for families with children and beginning hikers. Nice and easy trails, amazing landscape and beautiful nature make this region valuable getaway. The best way to get there is to travel by plane to Katowice Pyrzowice airport and then rent a car. The fastest route would be to travel on A1 motorway, then pick up the 81 road in Zory town. Getting to Istebna from Pyrzowice airport takes about 2 hours. Because this village is hidden in the mountains, it does not have very good public transportation. Costs of such trip to Istebna will be low. Accommodation is very cheap there and it can even start from 30 PLN per person. Food is also low-priced – two course meal with drinks in a restaurant would cost about 40 PLN per person. If you want to organize your Poland vacation on a budget, Istebna would be your place to go. 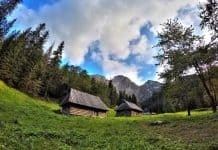 Looking for a mountain gateway in Poland? Head to Istebna! While looking for some Poland city breaks, one of the cheapest options was Lublin. I had never been to the Eastern part of Poland before and I liked the idea of exploring a new city that I knew very little about. My expectations were low, but I ended up loving my time in Lublin. It’s the best city in Poland and its old town is just as scenic as those of more famous Krakow or Gdansk. The narrow alleys full of colorful merchant houses show the rich history of the city. It is a joy to just wander around here. Lublin can easily keep you busy for a day or two. Besides the old town there are some beautiful churches and interesting museums. One of my highlights was walking up to castle hill from where you have a great view over town. A sobering experience is a visit to the Majdanek State museum just outside of Lublin. This will remind you of the darker side of Lublin’s past. It once had a large and thriving Jewish community, many of whom lost their lives at the Majdanek camp in the Second World war. 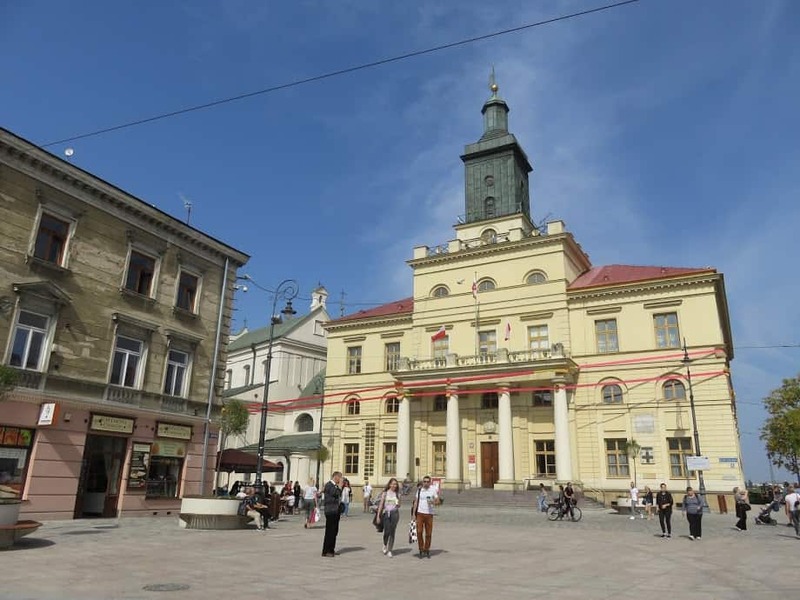 The Lublin Tourism board has set out an independent walking tour along the Jewish heritage that is left in the city. Lublin remains an off the beaten path travel destination where few tourists come. This means it is a true Polish experience with plenty of local restaurants and cafes where prices are low. Combined with their excellent public transport a visit to Lublin will fit everyone’s budget. It’s also a great base to explore the Eastern part of Poland. By train it is only 3 hours away from Warsaw and 7 hours from Krakow. Old Town in Lublin is beautiful. Some say that Lublin is the best city in Poland. Auschwitz-Birkenau is infamous around the world for the size of the concentration camp and the sheer scale of the atrocities that took place. Now, more than ever, everyone should visit one so as to remember and learn from our mistakes. Majdanek was the first camp that was liberated. Soviet forces reached the camp on 22 July 1944. 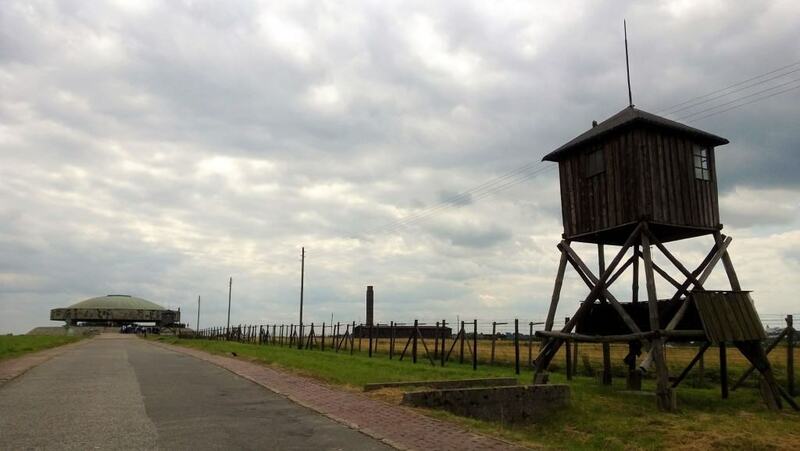 As a result of the Germans’ hasty retreat, it was also the best-preserved of the camps that still exist today. Getting to Majdanek involves a short ride from Lublin’s city centre. Take bus no. 23 or trolley no. 156 from Brama Krakowska (Kraków Gate) and one will get there in less than half an hour. In fact, it’s so scarily close to the city that the buildings are visible in the distance. While the museum closes on Mondays, the grounds are open all year from 9 in the morning to at least 4 in the afternoon. Admission to both is free. The guard towers, the barracks, the gas chambers and the crematorium still stand in the same places, with the only thing that was rebuilt being the latter’s chimney. The exhibition panels retell similar horrors to those at Auschwitz, such as mounds of personal possessions and human hair and the sheer brutality of the camp guards (some of whom were women). Unlike other camps, however, one comes face-to-face with the ashes of victims in a mausoleum in the middle of the camp. For me, that was the most sobering moment of my visit to any World War II site. 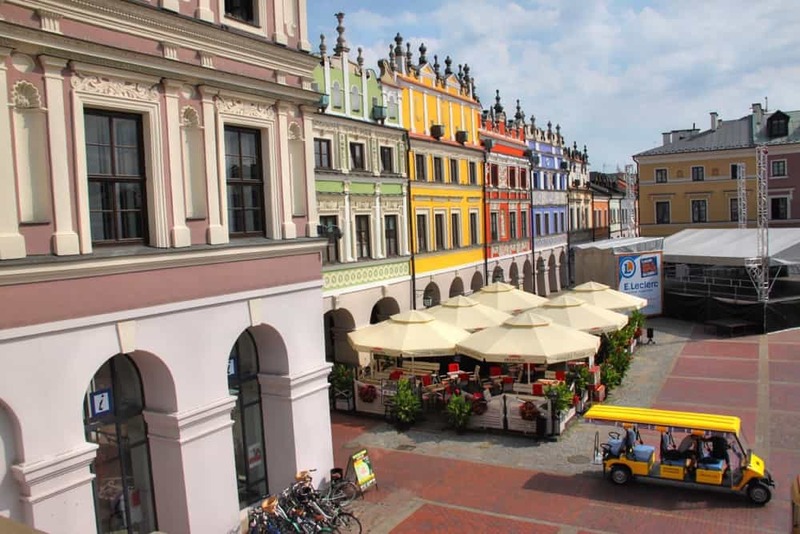 Called the Polish Pearl of Renaissance, Zamosc has one of the most beautiful Old Towns we’ve ever seen. It’s listed as UNESCO World Heritage Site. 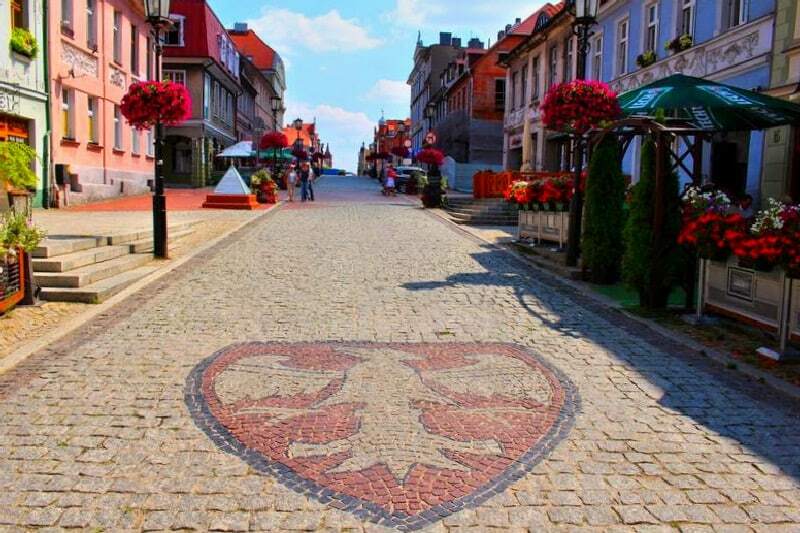 The town is located in the south of Poland, 1,5h driving from Lublin. We’ve written a separate post about Zamosc. You can find it here. The Oskar Schindler’s Enamel Factory, a former metal item factory in Krakow, located at ulica Lipowa 4 (Zablocie), has been turned into two museums. One is the Museum of Contemporary Art, the other is the immersive, Historical Museum of the City of Krakow. You’ve probably heard of Oskar Schindler because of Stephen Spielberg’s “Schindler’s List”, a war drama about a man who saved over 1000 Jews through his factory, during World War II. It is important to add a visit to this immersive museum to your Krakow itinerary because there’s nothing else like Schindler’s Factory in the world. You will in fact be able not only to see Schindler’s office, but also to learn how was life in Krakow during the Nazi occupation, how was it to live in the Jewish ghetto, what happened to a beautiful city that was basically turned upside-down into just a few days. Walking through the dark, in the Jewish ghetto, with dogs angrily barking at you and soldiers shouting for you to keep moving, you’ll get to feel as humiliated and terrified as the men, women and children who were forced to leave their houses in the middle of the night. 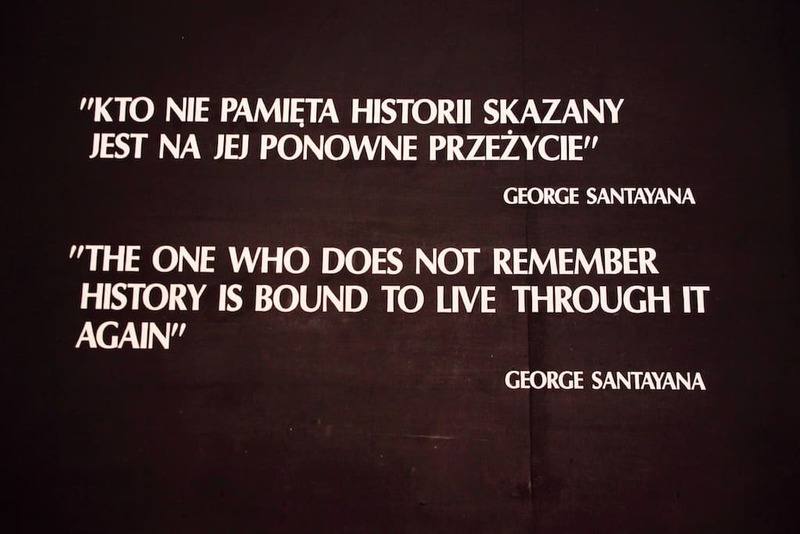 It is important not to forget what happened: keeping the memory alive should not only be a form of respect, but also a way to make sure that such horrors never happen again. Because there are limited tickets available every day, it’s important to get to the Factory early in the morning, or book a ticket online. They are very cheap (just a few Euros), and every Monday (except for the first Monday of the month) you can visit the Oskar Schindler’s Enamel Factory for free! Krakow is the best city in Poland. Don’t miss visiting Schindler Factory Museum while you are there! 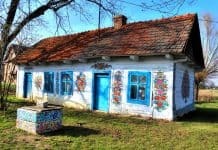 A small village called Zalipie is the most instagrammable place in Poland. 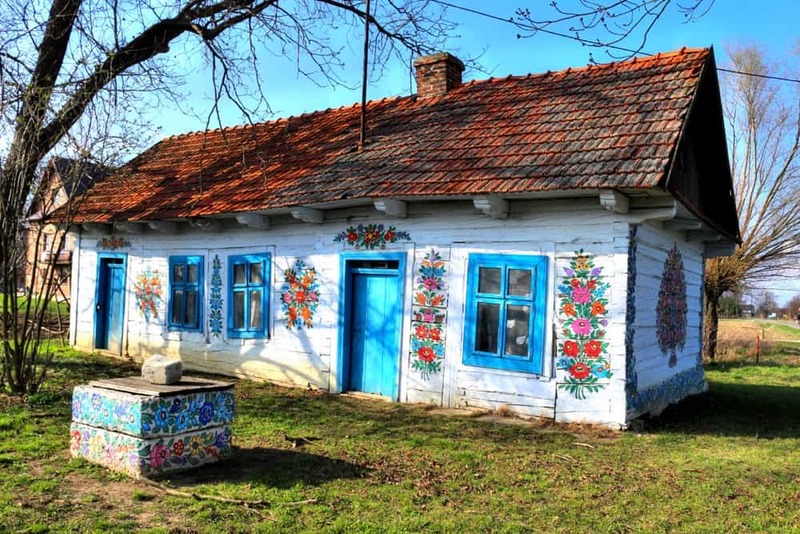 Located in the Polish countryside, it’s famous from the colorful houses painted with flowers. The village is one of the best places to visit near Krakow, as it’s situated only 1,5h driving from the city. More about jaw-dropping places in Poland here. I love the town of Gorlice and the surrounding area. 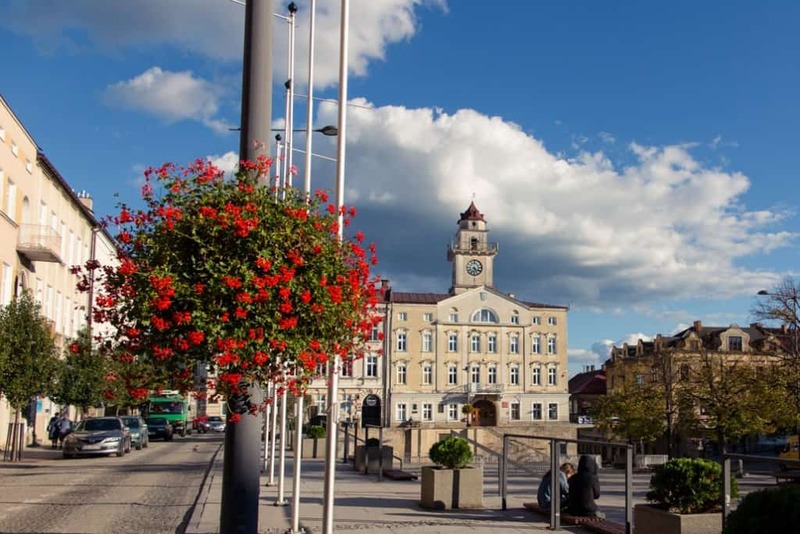 The city of Gorlice is a picturesque small town with a lovely city centre. The views from the town hall tower are my favorite! I was also surprised to find a great deal of trendy restaurants and an amazing café in Gorlice. You might not know that Gorlice played a key role in the First World War. You can learn about the Battle of Gorlice in a local museum. The wider Gorlice area is a region naturally rich in crude oil. Its mining has significantly defined Gorlice’s history. Major inventions were carried out in Gorlice – such as the kerosene street lamp. Right on the edge of Gorlice you’ll find an amazing chateau. It’s a palace, in fact. 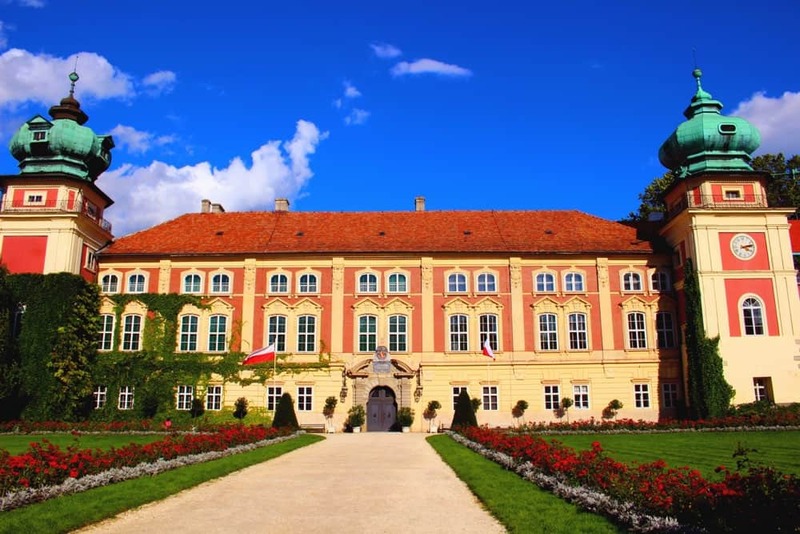 The Palace of the Dlugosz Family has been around since the 14th century! It’s a unique building and now also a hotel. I stayed there and can highly recommend it. The Palace is located in a large park and it’s very pleasant just to stroll around. The best way to get to Gorlice is to rent a car in Poland. It’ll come in handy when you’ll want to explore the surroundings of Gorlice, which is hard to do without a car. For any travel-related question you can reach out to the Gorlice Info Centre. If you insist on taking public transport, you’ll need to pass through Krakow on your way to Gorlice. Depending on your starting point, there’s an airport, a train and bus station in Krakow, so the options are plentiful. From Krakow bus station, you need to catch a bus – either via the company Voyager or Dartur. Either is fine, just note some routes take longer. The shortest trip between Gorlice and Krakow by bus takes 2,5 hours, while the longest one can take an hour longer. There is no better place for a day trip from Krakow than Lancut. It’s located only 1,5h driving from there. There are many small towns in Poland but it’s definitely the most beautiful one. It’s hard not to fall in love with Lancut. It has one of the most beautiful castles we have ever seen! We’ve written a separate post about Lancut, read it here. Looking for best places to visit near Krakow? Head to Lancut! It’s one of the most beautiful small towns in Poland. Bieszczady is a little sister of Tatra Mountains. They are easier to hike, that’s why it’s a perfect place to go for everyone. Bieszczady is less touristy and crowded. They are located in Southeastern Poland, close to the border with Slovakia and Ukraine. 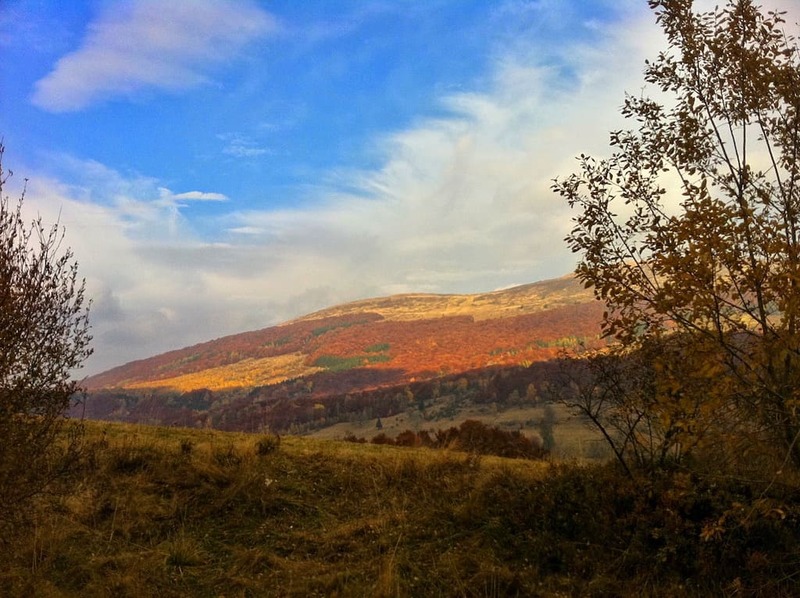 Here you can read a full post about Bieszczady. 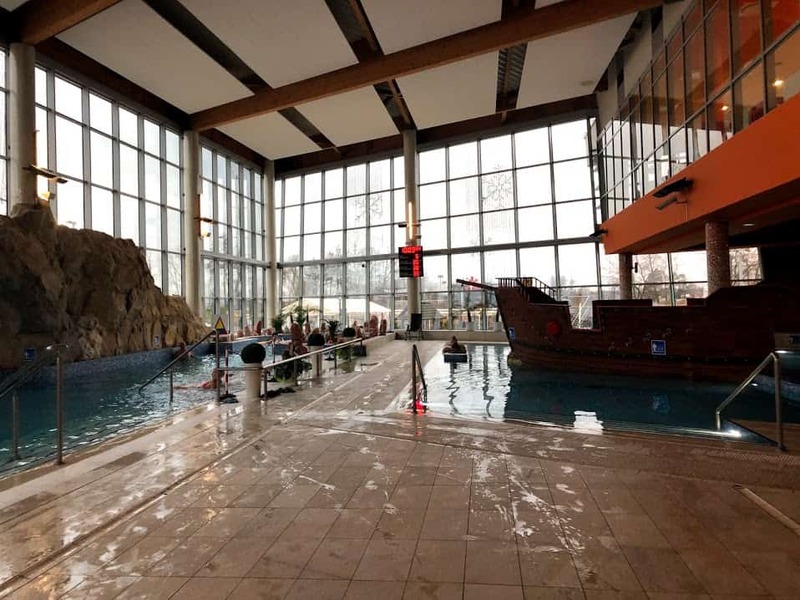 If you are in Krakow and want to visit thermal pools, going to Tatra Mountains is not your only choice. It’s so much better to travel off the beaten path and head to Solec Zdroj. 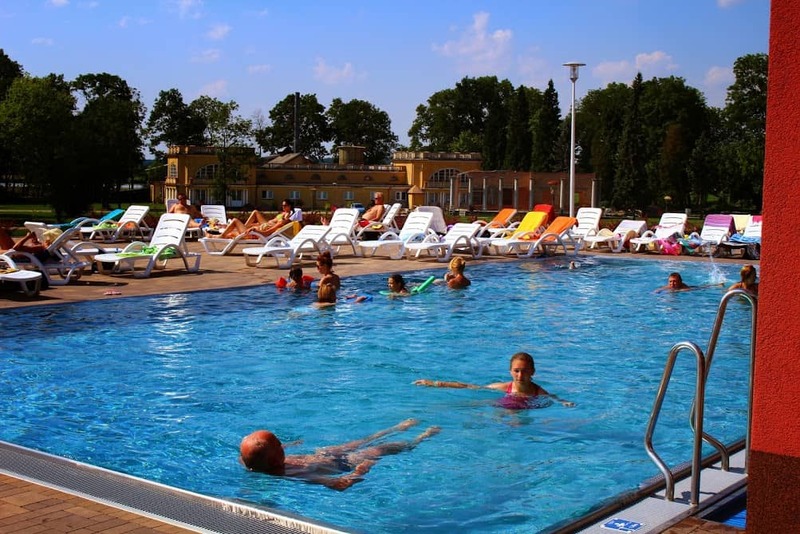 Located just 1,5h driving from Krakow, Solec Zdroj has the best sulfur water pools in the world. It’s also where you can find some of the best spa hotels in Poland, including Mineral Hotel Malinowy Raj. Click here to read the full post about Solec Zdroj. In Solec Zdroj, you will find some of the best spa hotels in Poland.